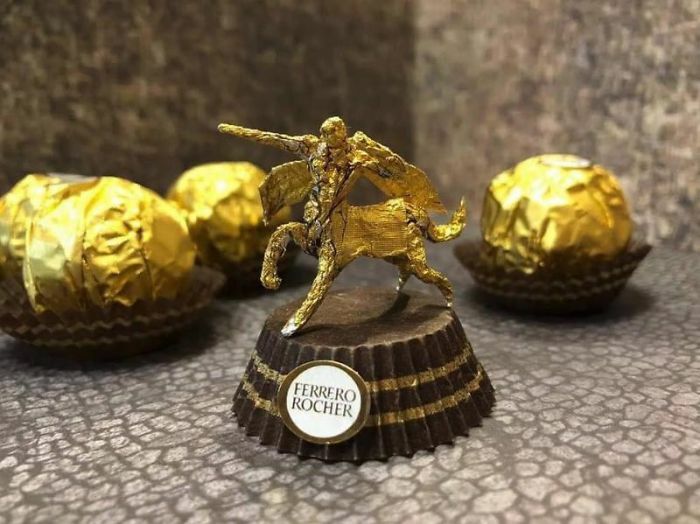 Ferrero Rocher is a chocolate brand be loved by many people. 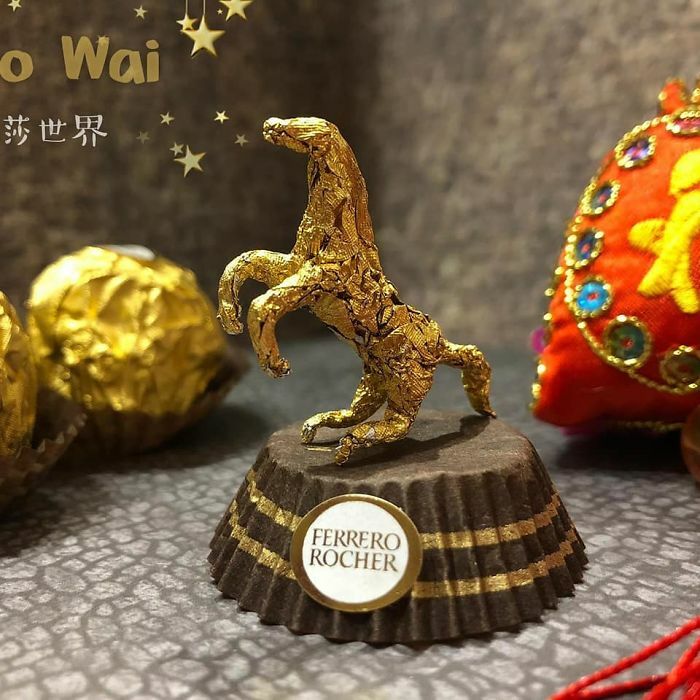 Its distinctive golden package makes itself outstanding from the other chocolate. 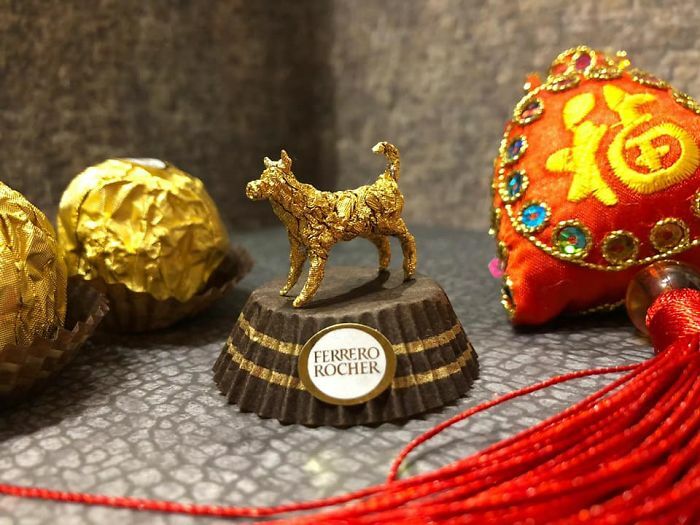 Although the golden wrapping paper is shinning, most of us still just treat it as normal packaging helps to contain and protect our beloved chocolate. 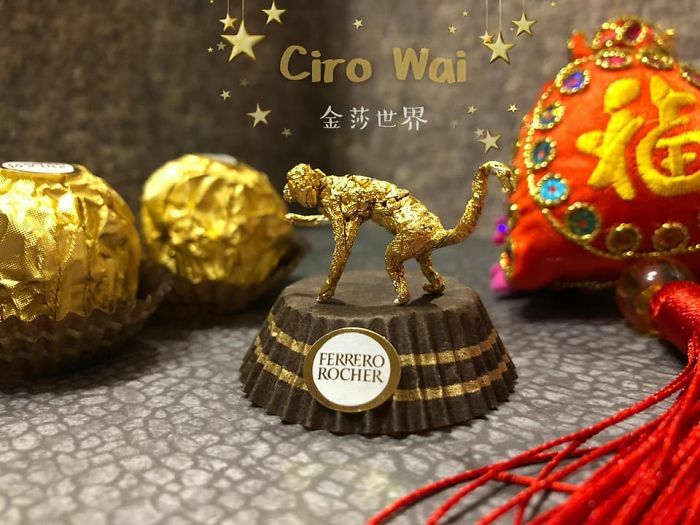 However, Chinese artist Ciro Wai found a different usage of it. 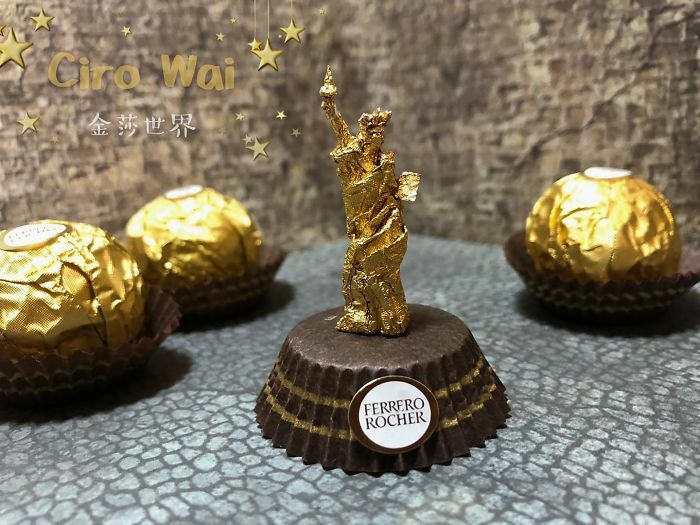 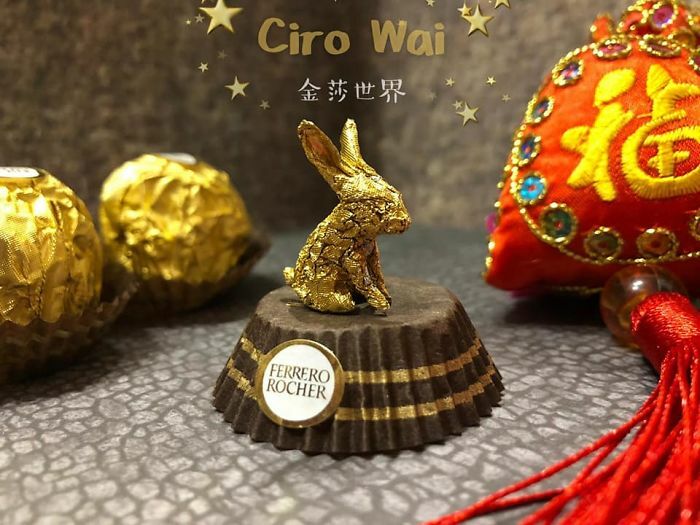 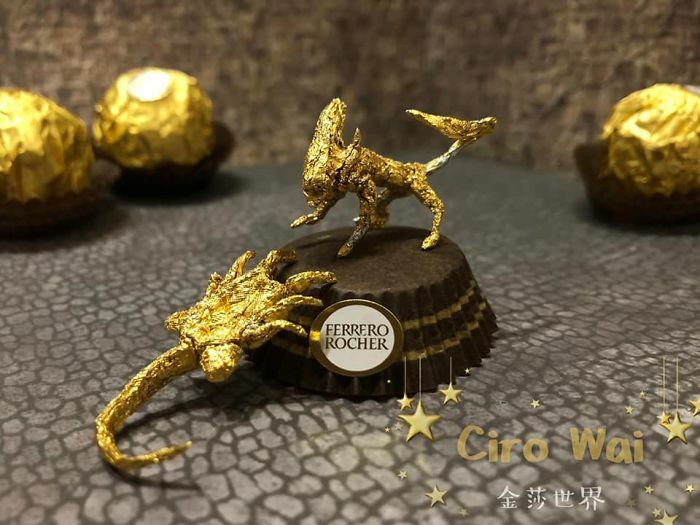 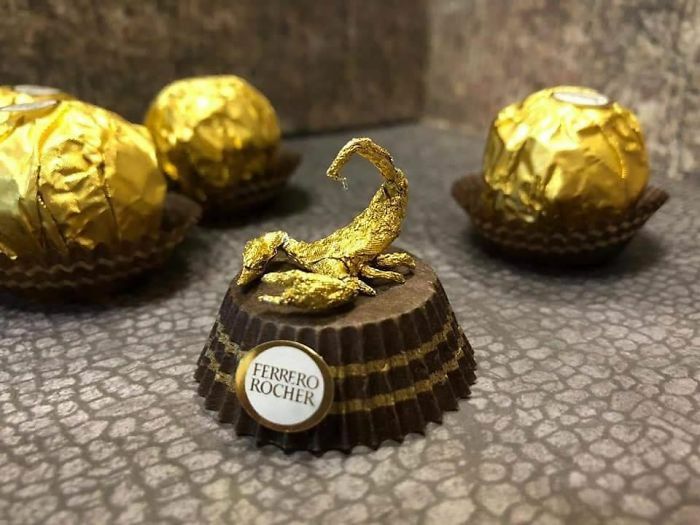 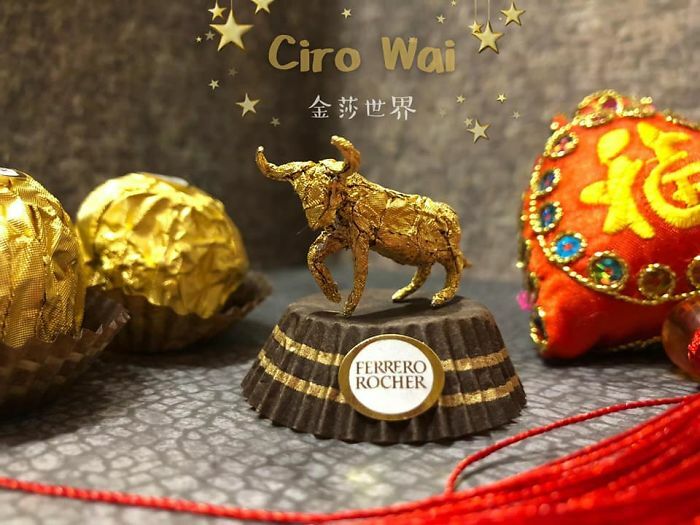 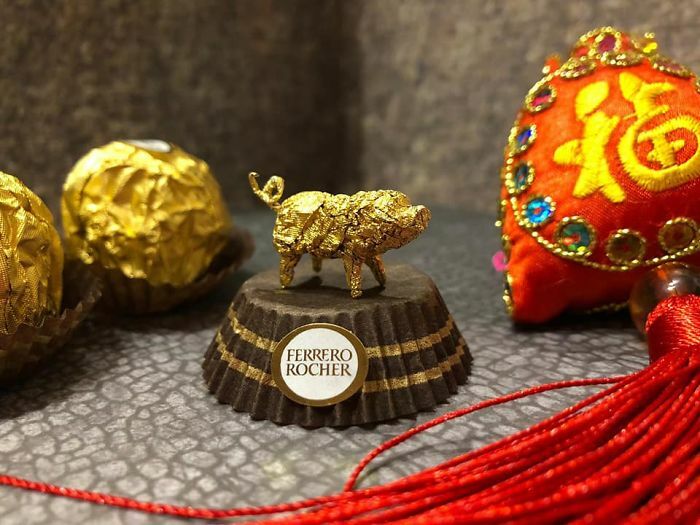 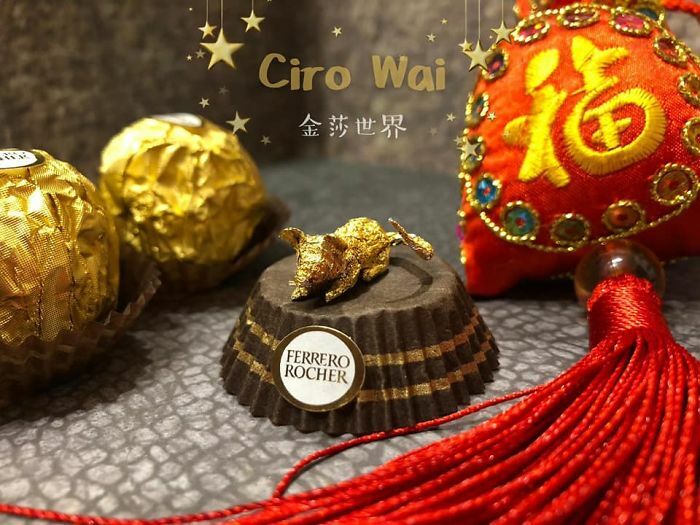 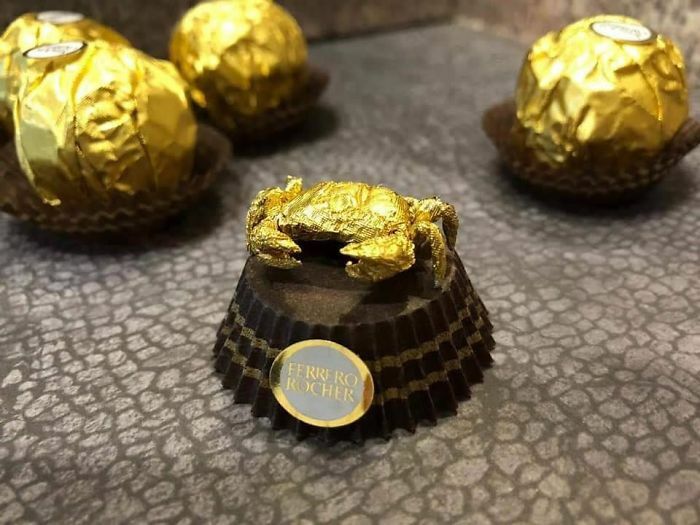 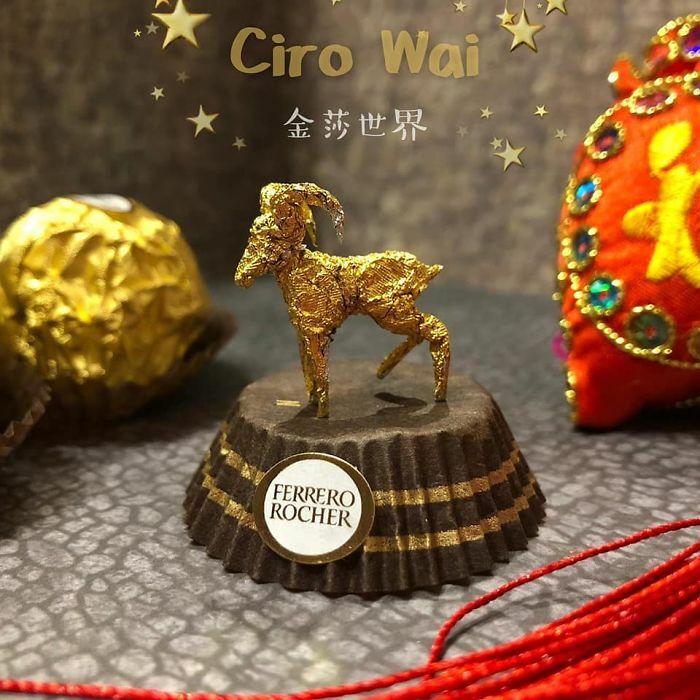 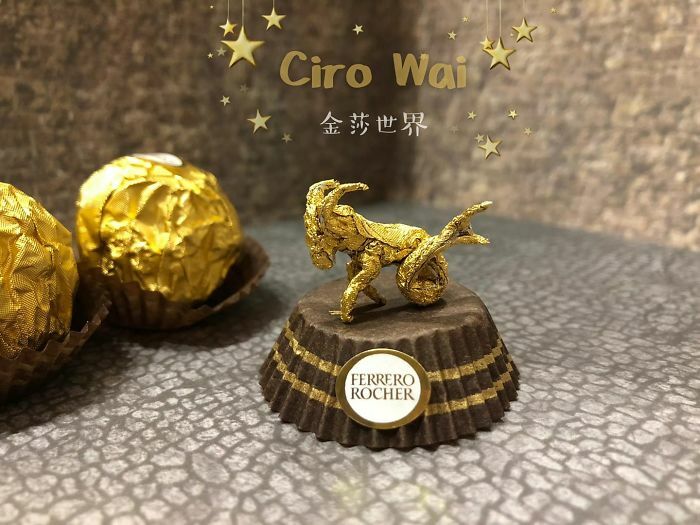 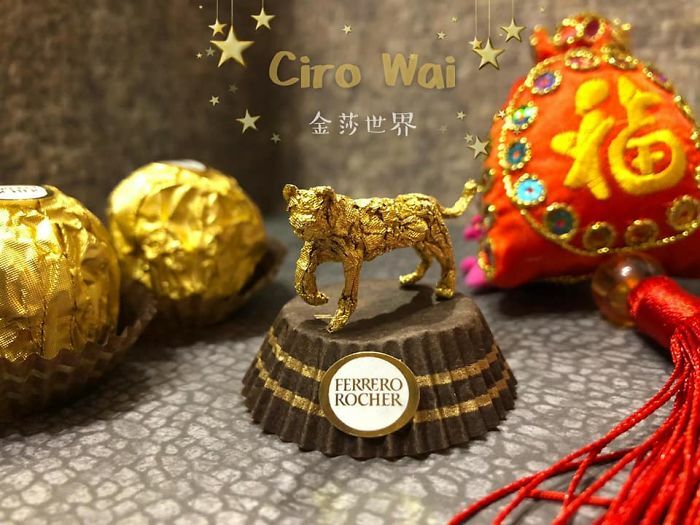 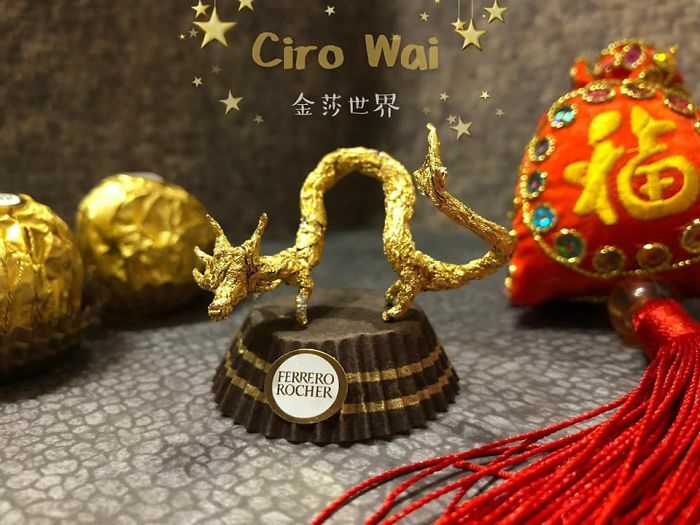 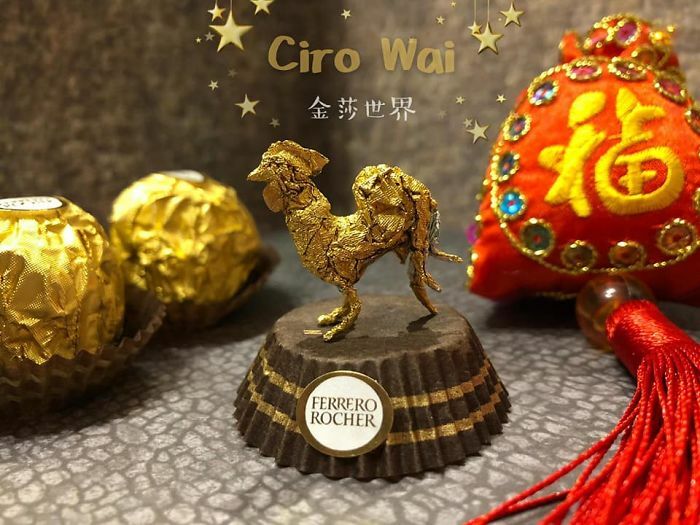 Wai creates impressive miniature sculptures by upcycling the gold foil of Ferrero Rocher. 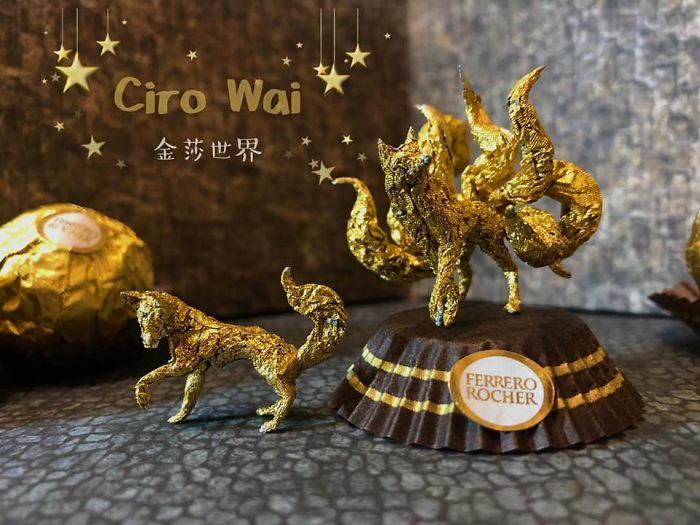 Now his collection of works ranges from animated characters like Pikachu to Chinese zodiac signs, and everything he does turns out to be incredible pieces of art. 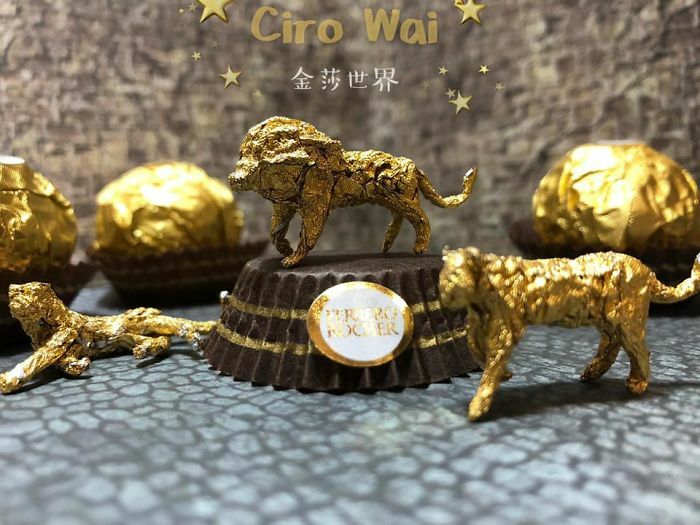 Below are some of Wai’s work and you can find more on his Instagram page. 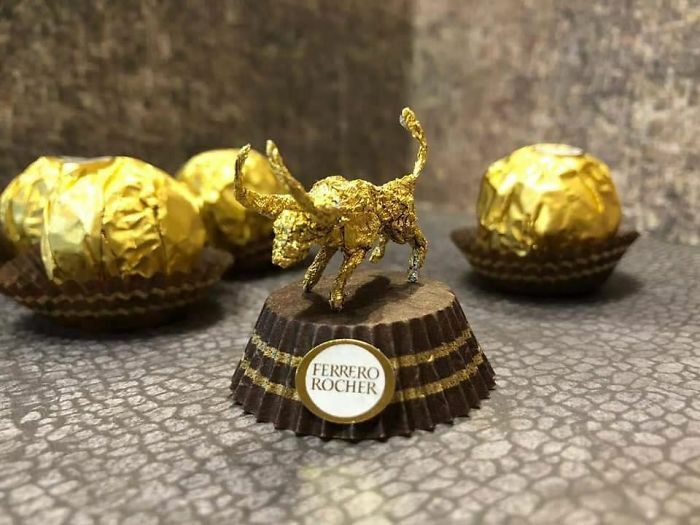 Like these miniature sculptures? 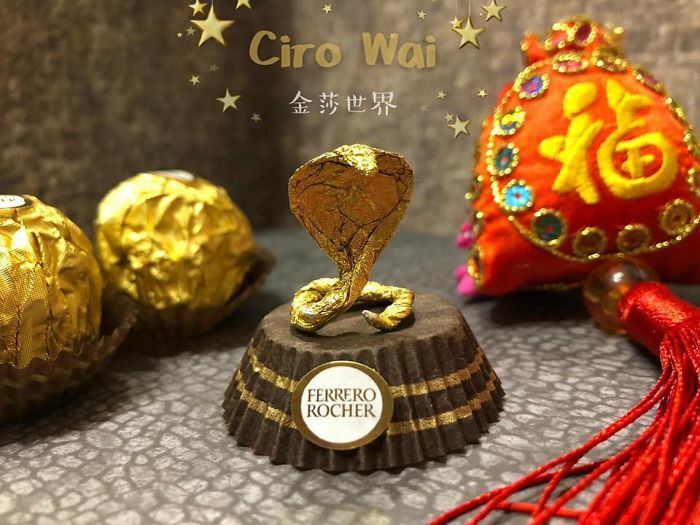 Valentine Day‘s is coming. 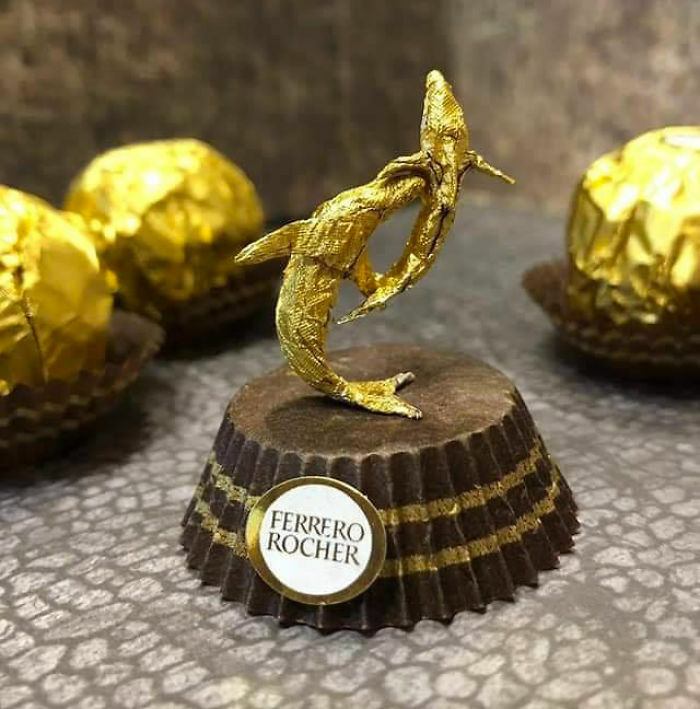 Maybe you can upcycle some chocolate packaging and make your own little creation? 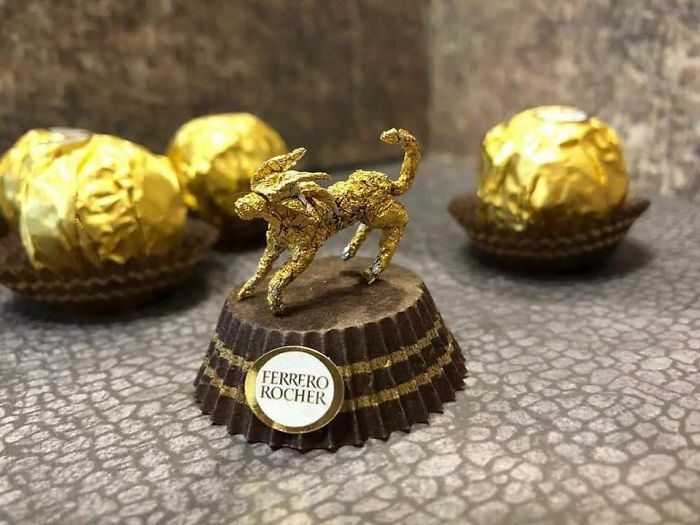 Next story 26 Cool DIY Woodworking Gift Ideas to Make Your Day Special!